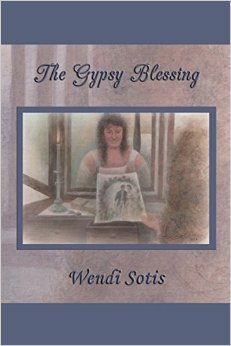 The Gypsy Blessing has a very different storyline than the usual “what if” stories, and it requires some detachment from the original story. If you like and accept the premise of the book you will love it! After helping an injured gypsy, Lizzie receives a blessing that will help her in her path to happiness. She starts receiving mysterious drawings that show her events that will occur in the future. Elizabeth starts realizing she can change the future based on the information she is receiving from the drawings and because of that she travels to Ramsgate where she meets Mr. Darcy and Georgiana. After that event, the book follows the timeline and events Jane Austen created in Pride and Prejudice, but because of the drawings, Elizabeth’s perception is very different, and the story takes a different route. She doesn’t have prejudice against Mr. Darcy, and does not favour Whickam, but despite this change, the character remains very true to herself and we can still find a lot of angst and adventures in the book. It is a surprisingly fresh and loving book. There is no lack of propriety, and the only intimate scene portrayed in the book is a kiss between Mr. Darcy and Elizabeth after they are married. But the love story is marvellous, I really enjoyed it and recommend it to those who want to read a good book. Thank you Rita! This looks like “must read” material. You made me really curious about this one.